5.4 It’s A Lot To Spend – But Worth It! So, let’s get to the detail, and find out more about what makes Jura’s F8 bean to cup coffee machine a great one for your shortlist. 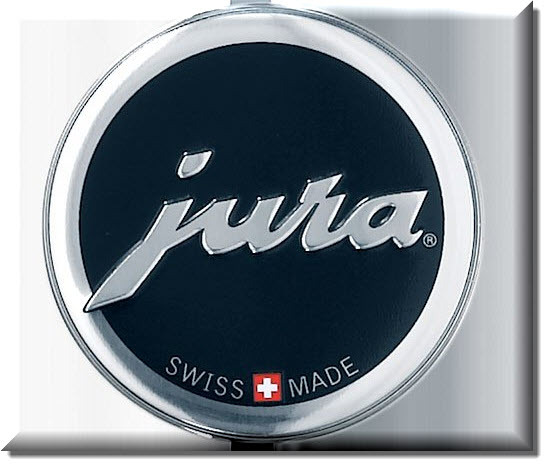 Jura’s range of coffee machines are almost always great to look at, and they manage to do that without compromising the ease of use. It’s not as common as you might think either, if you look around our reviews section, you might be surprised if you look closely at just how complicated some machines look. Finally, there’s a twisting dial on the right hand side of the front of the machine which is used to flick between hot water and steaming modes. All in all, it’s very easy to get the hang of, but you might need to use the instruction book as a cheat sheet (there’s a short version available too if you’re impatient!). Given the price difference, this isn’t a great surprise, but it seems a lot of people have gone straight from a Nespresso machine to a Jura, which is, to be fair, a huge leap. The resulting view, again unsurprisingly, is that the quality is significantly higher – fresh coffee really being fresh is the most commonly highlighted plus point. It’s A Lot To Spend – But Worth It! At risk of sounding like we’re repeating parrot fashion, this Jura Impressa F8 review has uncovered a bit of a gem of a coffee machine. Yes, it’s pricey, but yes, it’s good. If coffee is a big part of your life, and you can stretch to the price tag, it’s a very strong contender indeed.